Born in Poland in 1881, Zbyszko was considered among the top three foremost wrestlers in the world. He was more than a mere muscle-man; he was one of the most cultured sportsmen who ever lived. Zbyszko was a graduate of the University of Vienna, a lawyer, musician, philosopher, poet, master of 11 languages and the inventor of the tilt-top exercise table. After conquering some of the world’s greatest professionals in Europe, Zbyszko came to the U.S., where he continued his winning ways, culminating in the world professional wrestling title by defeating Ed “Strangler” Lewis in 1921. He successfully defended the title three times in the next 12 months, only to lose it to Lewis in a rematch, and then regain it in 1925. He retired from wrestling at the advanced age of 54, leading some to call Zbyszko the eighth wonder of the world – the grand old man of wrestling. He died in 1967 in St. Joseph, Missouri. Stanley Zbyszko, born Stanislaw Cyganiewicz in Poland in 1881, is considered among the top three foremost wrestlers in the world by noted authority Nat Fleischer. 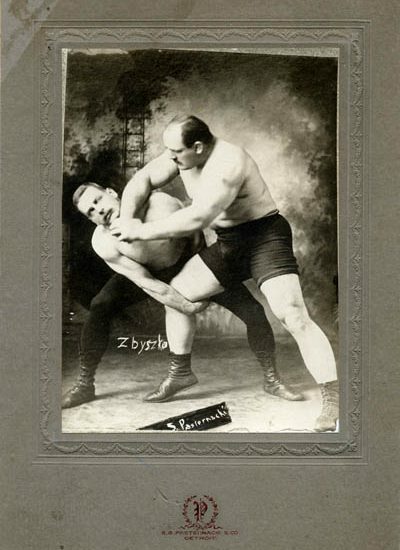 In his heyday, Zbyszko was known as the eighth wonder of the world – the grand old man of wrestling. But, he was no mere muscle-man; he was one of the most cultured sportsmen who ever lived. He was a graduate of the University of Vienna, a lawyer, musician, philosopher, poet and a master of eleven languages. He was also an inventor, obtaining a patent for a tilt-top table exerciser in 1964. Zbyszko had wrestled some of the world’s greatest professionals in Europe, had been sought after by European royalty and had won a championship in Paris in 1909. 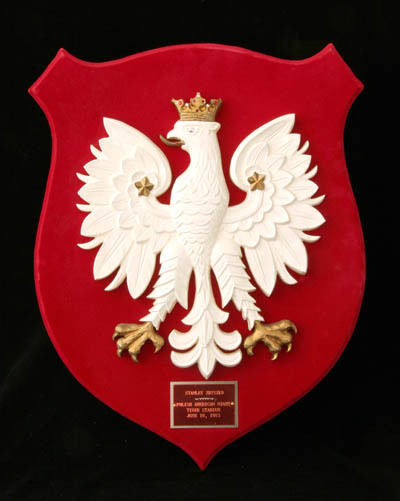 He came to the United States gathering victory after victory, winning the respect and friendship of sportsmen everywhere and the special adulation of his fellow Poles. 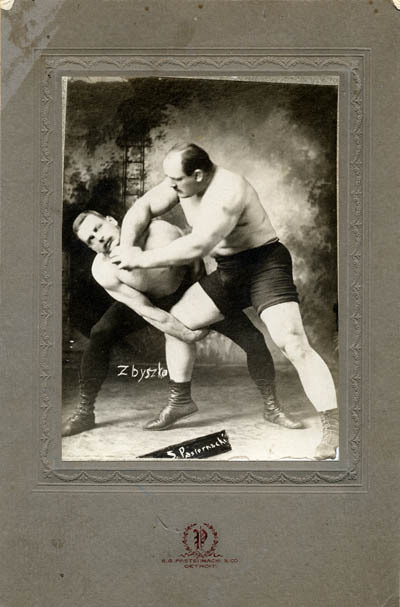 Zbyszko won the world’s professional wrestling title from Ed (Strangler) Lewis at the age of 40 in 1921. After winning the bout, he retained his title in a return match and defended it successfully against Earl Caddock, Francoise LeMarture and Jim Londos. However, Lewis again became champion in 1922. In 1925, Zbyszko got to the top again by winning a match against Wayne Munn, who had defeated Lewis. He continued wrestling, went on a world tour and finally retired at the advanced age of 54 to become a sports promoter. Zbyszko died in 1967 at St. Joseph, Missouri.